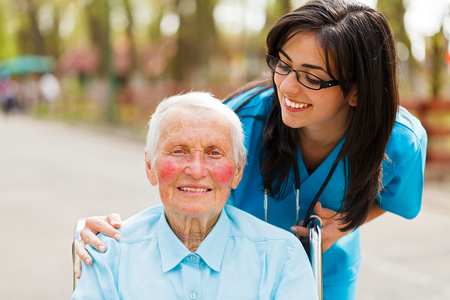 Senior Care / Home Care / Home Care Agencies / Home Care Agencies in Pasadena, CA / Shining Star Home Care, Inc. Mention Care.com to receive a free in-home consultation and 25% off for start of home care services. Shining Star Home Care provides non-medical home care to seniors and respite services for kids with special needs. We help form a care plan specific to he client and ensure they live a dignified life with joy, and in the comfort of their own home. We offer the best quality of care, reasonable rates, and while providing our families with piece of mind knowing their loved ones are safe. Los Angeles/Orange County, and San Gabriel/San Fernando Valley areas. Shining Star has been an excellent company to work with. My mother needs more care now and they sent us Claudia. She was always on time and very kind. My mother loved her. I have great confidence in Shining Star and I look forward to using them again in the future. Looking for a caregiver ...look no more and call Shining Star Home Care, I highly recommend Shining Star. Carmen and her dedicated staff of caregivers are fantastic. I used the the 24 hour live-in service for over 5 years for my parents. Thank you Carmen. I recently was in need of home care for a family member and Carmen from Shining Star Home care reached out to me thru care.com. Her kindness, compassion, professionalism and prompt respone to our inquiry for home care was greatly appreciated. She made our family feel comfortable and at ease since this was our first time needing this type of service. My mom had undergone hip replacement surgery and after falling the day after she was discharged from the hospital, we quickly realized she would need more assistance over a greater length of time than we had planned for. Carmen met with us to assess my mother's needs and immediately started working on arranging for the right caregiver on her staff that she felt would be a good fit. She answered all our questions, and was very clear in terms of what our options were, what the caregiver would provide, and what to expect. Carmen arranged for us to meet with the potential caregivers to interview them and confirm we were comfortable with them. We had two caregivers that split the week up to care for my mother. Both were very helpful, compassionate and attentive. Most of all, we felt relieved knowing that my mom was in safe and capable hands. I highly recommend Shining Star Home Care if you have a loved one that is in need of caregiver services! Carmen is always very nice and she follows through. I called her a few different times for info and she always called me back when she said she would. I wasn't ready for care until a few weeks later and she had someone available for me. Thank you Carmen. Reply from Shining Star Home Care, Inc. Thank you for your kind words, and it has been a pleasure to work with your family! It's families like yours that we strive to give the best care we can! -Carmen | Shining Star Home Care, Inc.
Hi Natalie, Thank you for your kind words, and it has been a pleasure to work with your family! It's families like yours that we strive to give the best care we can! -Carmen | Shining Star Home Care, Inc. I found Carmen through Care.com several months ago. I spoke to her and she was very helpful and very nice. Unfortunately, our family member was not released from the hospital at that time afterall. Carmen kept in touch through emails a few times to let me know that she was there for us when we needed her. Eleven months later my family member was finally discharged so we called Carmen....she remembered us! I was so touched. Sometimes through and illness (as a family member) you feel sad and alone, but Carmen reassured me that she and her team would take great care of our family member. So far she has lived up to her word! Thank you Shining Star! We know that finding care for a loved one along with other daily life struggles can at times be a difficult and challenging transition. We thank you for giving us the opportunity and honor to care for your family member! Hi Cherie, We know that finding care for a loved one along with other daily life struggles can at times be a difficult and challenging transition. We thank you for giving us the opportunity and honor to care for your family member! 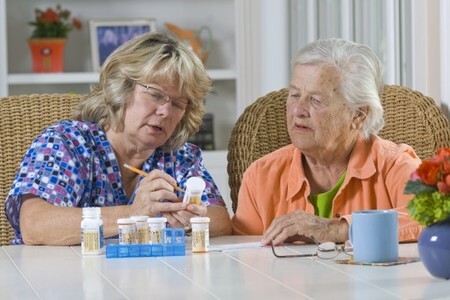 I have been very pleased with the genuine care my loved one receives from the caregivers. The customer service has been above and beyond and truly appreciated! I would highly recommend Shining Star Home Care. We are so happy to hear that you are happy with our services. We sincerely thank you for your continued support! Carmen and her dedicated staff of well-trained caregivers are compassionate, attentive, kind, and caring. They listen to the needs of your loved one and provide care specifically tailored to the client. Carmen was prompt and efficient to meet our needs in a timely manner. I highly recommend Shining Star Home Care. We thank you for your kind words! We pride ourselves in delivering the best care and love for all our families, and it was a pleasure to do the same for you! Thank you for being a part of the Shining Star Family! Shining Star Home Care has provided my father 24/7 home care services for over 2 months in Cerritos. They have the best rates in LA/ Orange County. I feel I'm getting the best value for the service. Shining Star is a wonderful agency. Carmen is a caring person and loves what she does. She goes out of her way to accommodate our needs. Carmen is a very kind person and always good to my parents. She makes sure they are always taken care of even when she is not around. Overall, I recommend Shining Star Home Care to anyone or family in need of home care services for their loved ones! Thank you very much for your kind words! I take pride in my work and really love what I do. It is my goal to make every family feel the way you feel. Hello Freddy, Thank you very much for your kind words! I take pride in my work and really love what I do. It is my goal to make every family feel the way you feel.